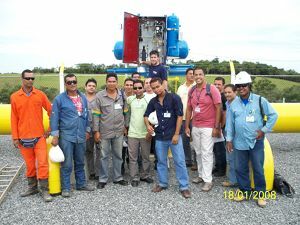 Rotork EH electro-hydraulic actuators have been selected as a reliable solution for failsafe valve control on a pivotal new oil pipeline under construction in Colombia. 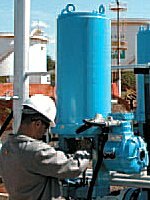 Rotork electric and electro-hydraulic valve actuation and Pakscan control technologies have been specified for a major petroleum storage tank farm expansion project at Fujairah in the United Arab Emirates. 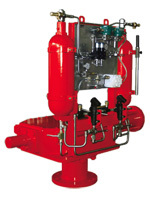 The Rotork Skilmatic self-contained electro-hydraulic valve actuator range combines the simplicity of electrical operation with the precision of hydraulic actuation and the reliability of mechanical failsafe motion for safety related applications including emergency shutdown (ESD) duty. 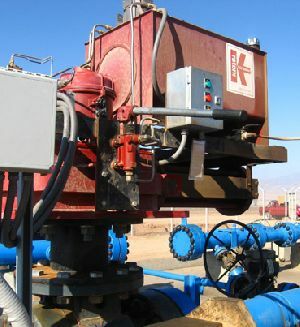 Rotork Skilmatic EH electro-hydraulic valve actuators have provided a successful solution for the provision of reliable emergency valve operation on a slurry pipeline in one of the world’s most arid, inhospitable and remote locations. 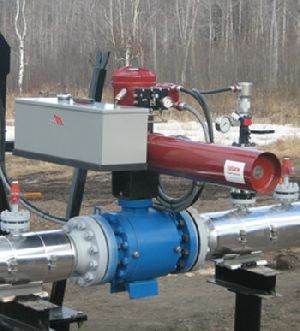 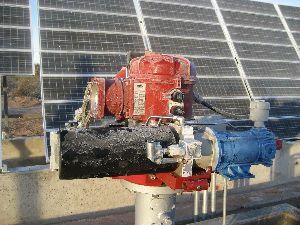 Rotork Fluid Systems at Calgary has supplied twenty Skilmatic EH electro-hydraulic failsafe actuators for remote gas pipeline applications in northern Alberta. 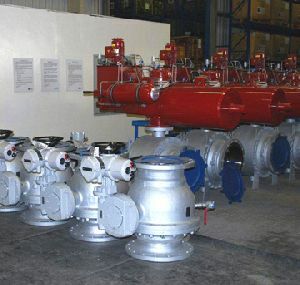 Worldwide valve actuation group Rotork has selected its company in Spain to be the tenth Centre of Excellence for the Rotork Fluid Systems Division's pneumatic and hydraulic actuation business. 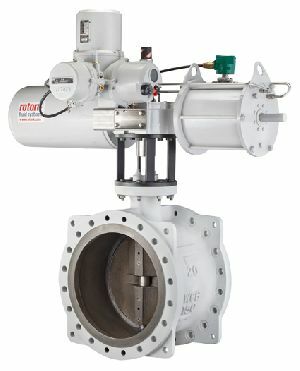 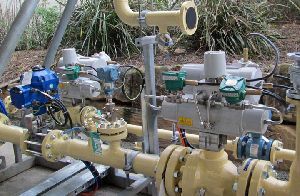 Major pipeline contract for Rotork heavy duty electro-hydraulic valve actuators. 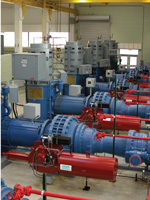 Rotork's innovative EH electro-hydraulic range of heavy-duty valve actuators has proved to be a success in water and waste treatment plants. 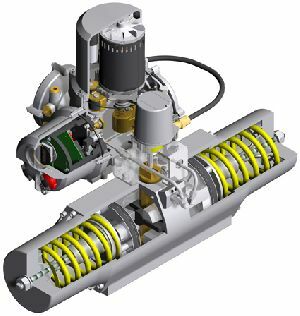 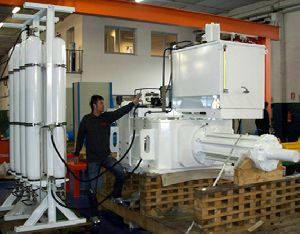 BP Exploration has specified heavy duty electro-hydraulic actuators manufactured by Rotork for a critical valve upgrade on the BP Unity platform, a vital unmanned facility that receives the oil from five fields in the North Sea. 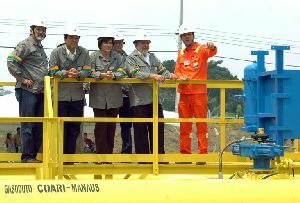 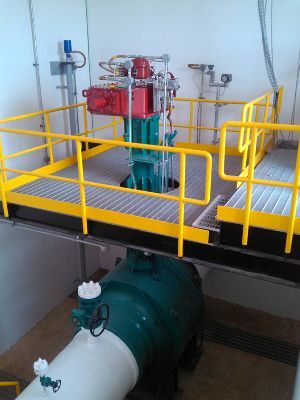 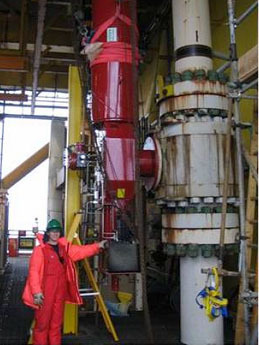 Thirty-nine Rotork EH range electro-hydraulic modulating actuators have been installed on the Osbra Pipeline in Brazil, replacing a competitor's hydraulic actuators installed in the 1990's when the pipeline was new.